Some residential quarters had grown outside the oldest Republican city walls of Aquileia, immediately to the west of its main road, which coincides with today's SR 352 road. Two houses fell in a plot owned by CAL (Cooperativa Aquileiese Lavoratori, a local cooperative association) and in a plot owned by Beneficio Rizzi, both acquired by the State in the 1950s. 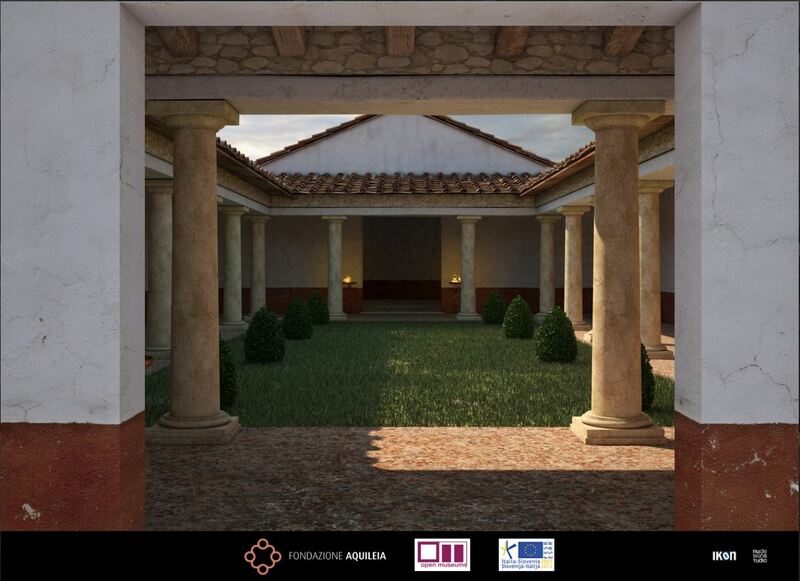 The vestiges belong to a number of dwellings and to different times in the urban development of Aquileia. This bears evidence to the houses being altered, refurbished and grouped together on several occasions over time (from the 1st to the 4th-5th centuries AD). The archaeological site of Fondo CAL is overlooked, to the north, by a large apsed hall, now protected under a modern structure, formerly introduced by a columned yard. 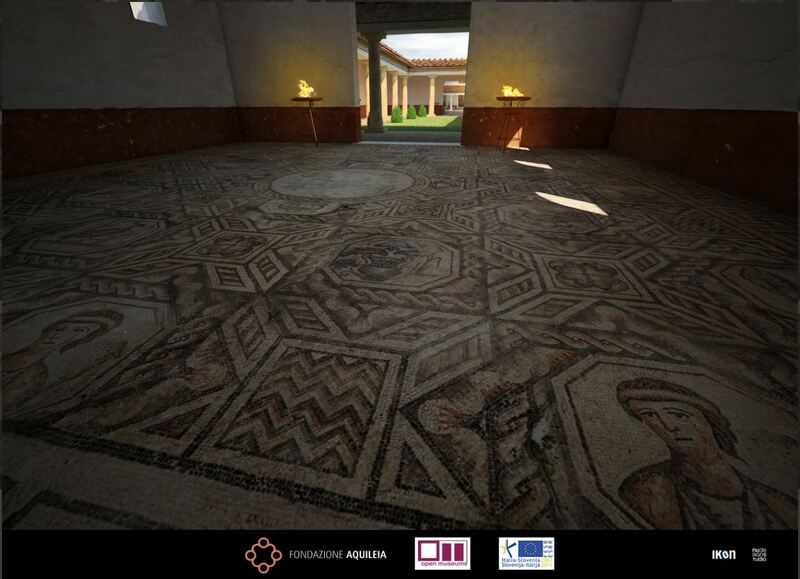 Originally identified as an early Christian oratory for the presence of the “Good Shepherd” mosaic floor (4th century AD), the hall is held today to have been a representation room in the house of a rich owner. Built in the full swing of the 4th century, this house had incorporated several previous dwellings to make a large complex, encompassing another apsed hall and a large reception hall to the south. The remains of another dwelling can be seen to the west of the residential site of Fondo CAL. Developed around an internal peristyle, it consists of several halls and service aisles. The geometrical pattern of black and white tesserae of the mosaic floor tell that the main house had been built at the time of Emperor Augustus. Some earlier structures with a different orientation can be seen at a lower level. The “Good Shepherd” mosaic decorates the apsed hall to the northern end of the archaeological site of Fondo CAL. The main character lies inside a circle at the centre of the carpet, which is elsewhere an elaborated geometrical pattern of rhombuses and squares with inscribed octagons. The subjects (beside the Good Shepherd, the octagons embed fish, dolphins, peacocks, ducks, male and female busts) are not necessarily Christian symbols, as they were long held to be, but they more generally fall in the figurative collection adopted by pagans and Christians alike in the 4th century AD..
You’ll receive updated information on exhibitions and events in Aquileia, news from the world of archaeology and a lot more.